Over the weekend, the Indiana Sports Corporation, a non-profit organizer and promoter, assisted the USA Gymnastics to mark a new attendance record for its national championships, which was held last week at Bankers Life Fieldhouse. The organizers of the P&G Championships held last week in Indianapolis stated that the championship held this year has set a “new bar” for the event. 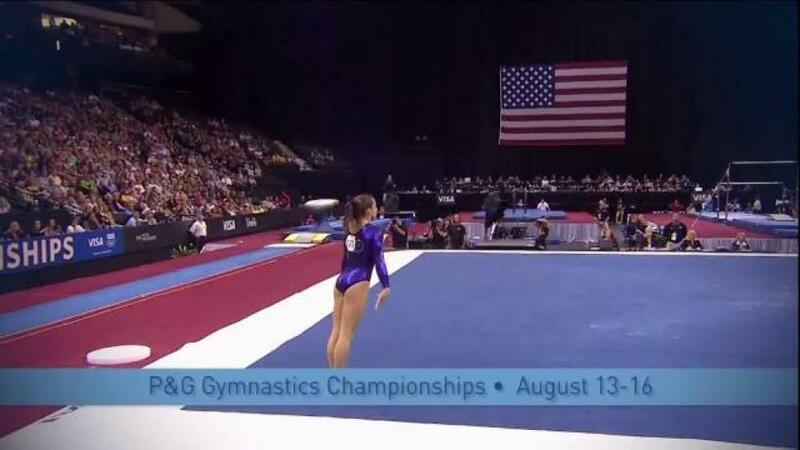 USA Gymnastics reported that the event held over the weekend has attracted about 33,457 fans over four days. The total attendance for this year showed an increase of 35% compared to the attendance record set by the previous gymnastics event held on the same city last 2005, which reported a total attendance of 24,757. Compared to last year’s championship, which was hosted at Pittsburgh, it marked a 16-percent upsurge, as the last year’s event gathered only around 29,000 people. Indianapolis also has a history of hosting this event in 1986 and 1998. Fans enjoyed a Brazil-themed family oriented activities on Georgia Street before the evening sessions started on Thursday. Aside from that, they have also celebrated the role Indianapolis played in the Countdown to Rio. The street became more lively because of the gymnastics-themed sand sculpture, fan-participation painting, chalk art, salsa dancing and other similarly fun activities. This event was the fourth time Indianapolis hosted the P&G Gymnastics Championships. Youth activities that are related to the championships, including behind the scenes tours, gymnastics banner creation and fitness activities attracted a total of more than 4,000 kids.